First things first: Samurai Gunn is a local-only fighting game for two to four players, each of whom is equipped with a sword, a gun, and three bullets. You can get a more detailed breakdown from our review, but the bottom line is that it is a very good, very intense game, that suffers only for a lack of an engaging single-player mode. The new upgrade doesn't address that particular shortcoming, but it's still significant. There are 11 new levels and a new level selection interface, two new modes of play—Master of the House, a fight through four levels chosen at random from each of the game's four environments, and Showdown Shogun, which forgoes bullets and extra lives—plus updated visual effects (including an option to replace the blood spray with cherry blossom petals), widescreen support, additional option toggles, and better support for controllers. And secrets! You'll have to figure them out on your own, though. The game is also now available for Mac, albeit with a few issues. The auto-config option is "a little touchy," according to the update, so you may have to horse around a bit to get your controller running, and there's apparently a single frame of fuschia that flashes by when returning to the title screen. 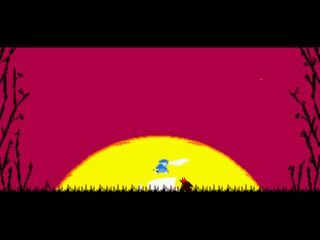 The Samurai Gunn update is live now on Steam, and it's free. Details are here.